A blanket-hermit crab grasping an anemone. 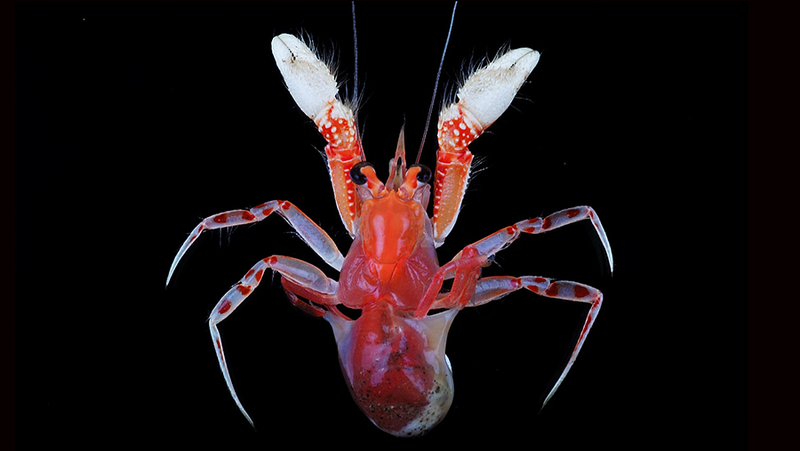 At the turn of the twentieth century, two independent marine scientists – JR Henderson in 1888, and A Alcock in 1899, described two unusual blanket-hermit crabs from the Indo-West Pacific. Unlike other hermit crabs, these extraordinary crustaceans do not search for empty shells to settle in for protection. Instead, they have developed a symbiotic relationship with sea anemones to cover their soft bellies. To do this, the crabs use highly specialized chelipeds to pull back and forth the anemone’s tissue to cover their soft bodies and heads whenever necessary – much like hiding under a blanket. However, shortly thereafter and upon learning of JR Henderson’s earlier work, A Alcock concluded that his hermit crab specimens and those of JR Henderson must be one and the same species, so the two scientific names were officially synonymized in 1901 in a publication with his colleague AF McArdle, with JR Henderson’s name taking precedence as required by the principle of priority set forth in the International Code of Zoological Nomenclature. Now, 130 years later, an international team of scientists, led by invertebrate zoologist Dr Rafael Lemaitre of the National Museum of Natural History, Smithsonian Institution, USA, not only found that A Alcock’s Indian specimens were indeed a separate species, leading to the resurrection of its name as Paguropsis andersoni, but that blanket-hermit crabs are not as rare as previously thought. A blanket-hermit crab ‘wearing’ an anemone. “Here there is no shell to play the part of ‘Sir Pandarus of Troy,’ but the sea-anemone settles upon the hinder part of the young hermit-crab’s tail, and the two animals grow up together, in such a way that the spreading zoophytes form a blanket which the hermit can either draw completely forwards over its head or throw half-back, as it pleases,” Alcock once eloquently described his marine discovery.